After our detour to Playa Grande to observe leatherback turtles, we had driven a few hours and crashed in a crappy hotel in Juntas, close to Monteverde. We woke up a bit later than usual, and started the drive up to the mountain. The road was truly horrible and it took us good 2 hours and a lot of pain. 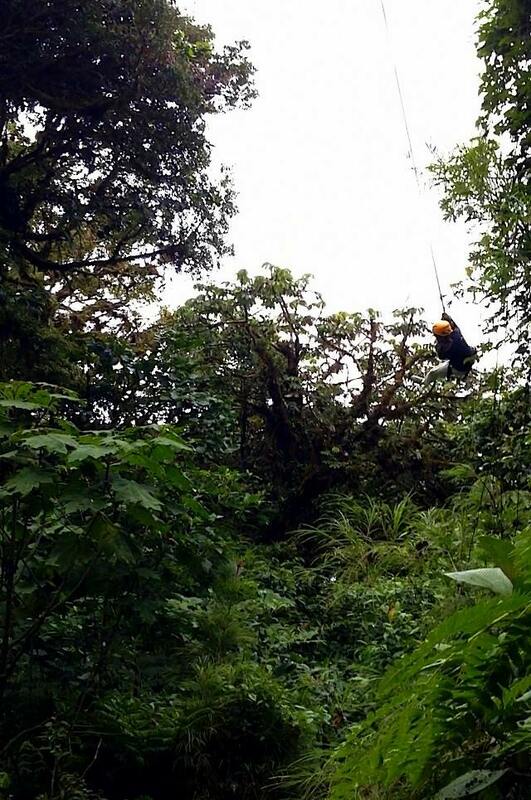 Monteverde is known for its Cloud Forests (Reserva de Monteverde and Reserva de Santa Elena), and for ziplining. It’s unclear if it really started here, but there is no doubt that this town has exploited the activity the most. We signed up for a group that was starting right away at Selvatura Park, one of the most famous operators. It was lots of fun! Not only the adrenaline of flying but also being surrounded by the thick forest with howler monkeys, the dense fog that wouldn’t let you see where the line was ending… we enjoyed like kids. After 1.5 hours of tour and a quick look at a hummingbird garden for free, we headed to the “center” for lunch. 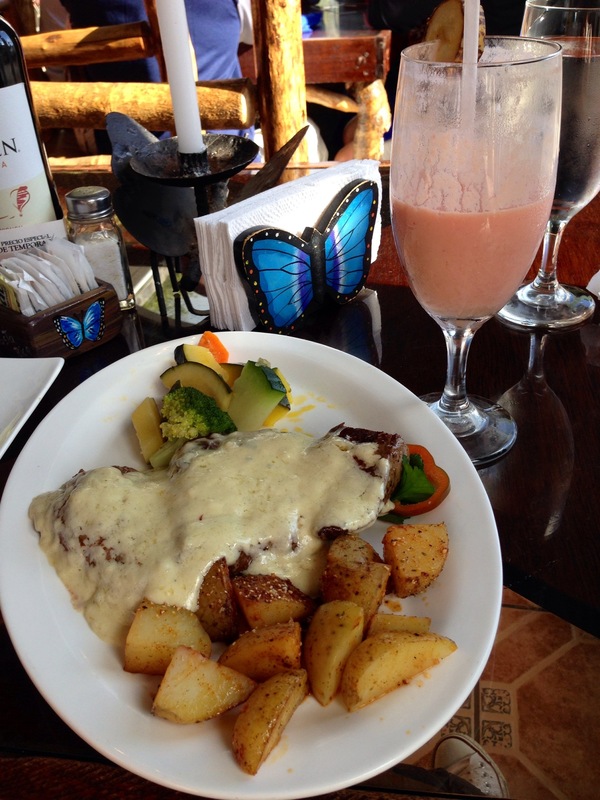 In a restaurant called Morpheus (like the blue butterfly in the area), we had probably our best meal in Costa Rica: a gigantic steak with cheese and a dulce de leche cake. Unfortunately we couldn’t stay any longer in Monteverde because we were scheduled to return our car that night in Manuel Antonio. 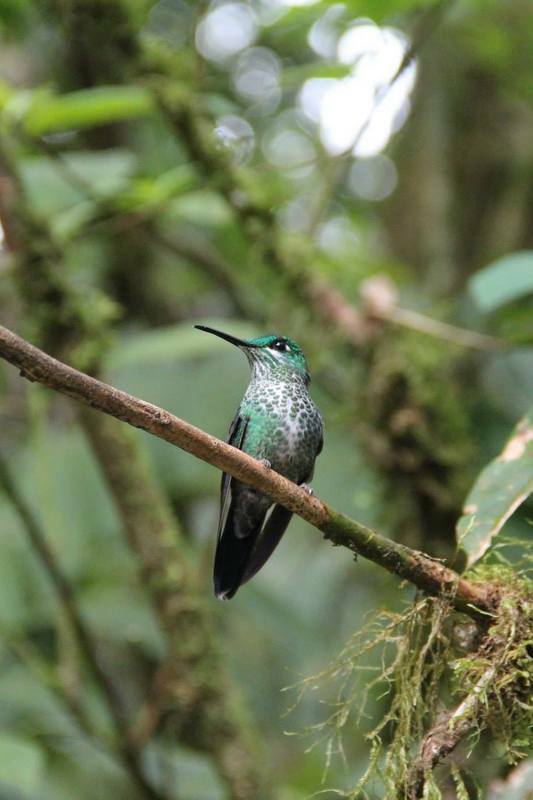 If we had more time we would have found tons of things to do, like hiking the reserves looking for quetzals, the hanging bridges or the butterfly garden.